This volume properly includes a high proportion of letters about writing. The most important thing about Fitzgerald--about any writer--is his witing. http://EllaMc.booklikes.com "So it goes." 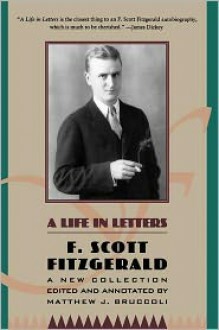 3.0 F Scott Fitzgerald's letters - a side not seen in his fiction. text F Scott Fitzgerald's letters - a side not seen in his fiction.